Someones watching you! What does he want? 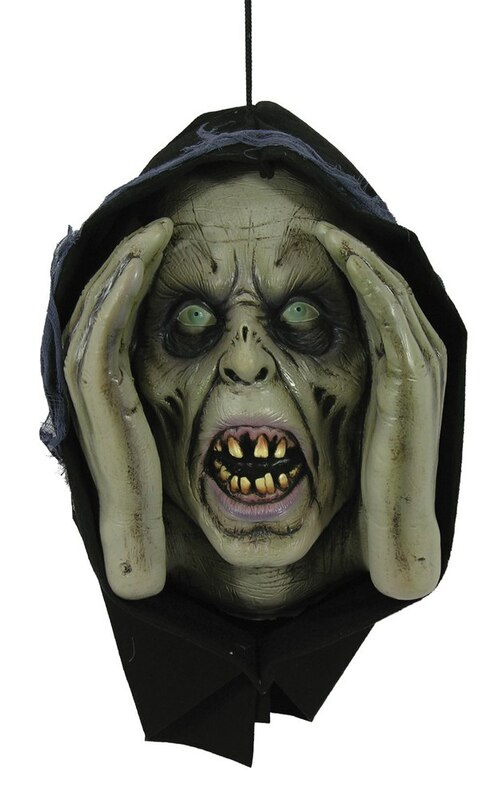 This life size Hanging zombie head with hands on both sides of his face appears to be peering in your window! Hang this prop outside any window to give that feeling of being watched.